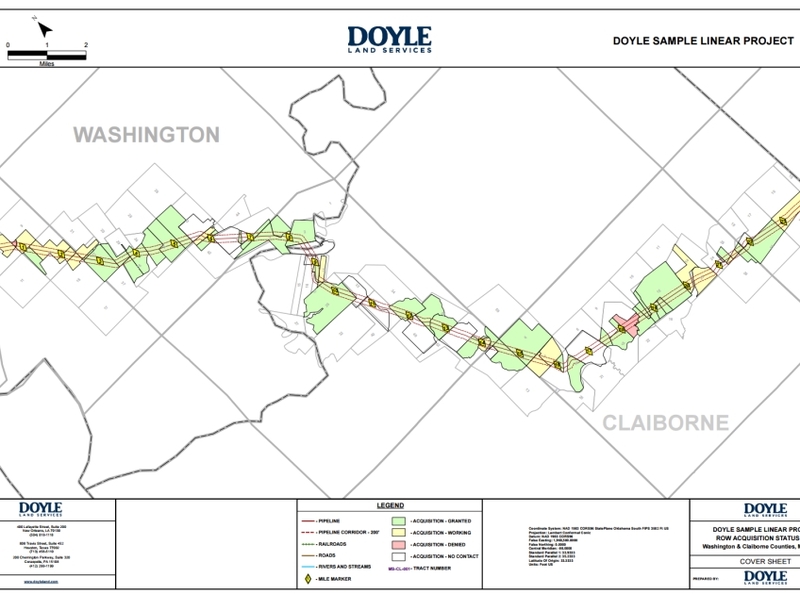 The Doyle Data and GIS Mapping System is a secure, web-based application, specifi cally designed to support and manage all aspects of a right of way project. This application centralizes data management and allows our clients and field staff to remotely access reporting, mapping and file sharing tools. The database structure, report design and data delivery (including exporting to third-party systems) can be easily customized according to our client's project specific needs. Chart-based presentations of the key elements of the project are also available. 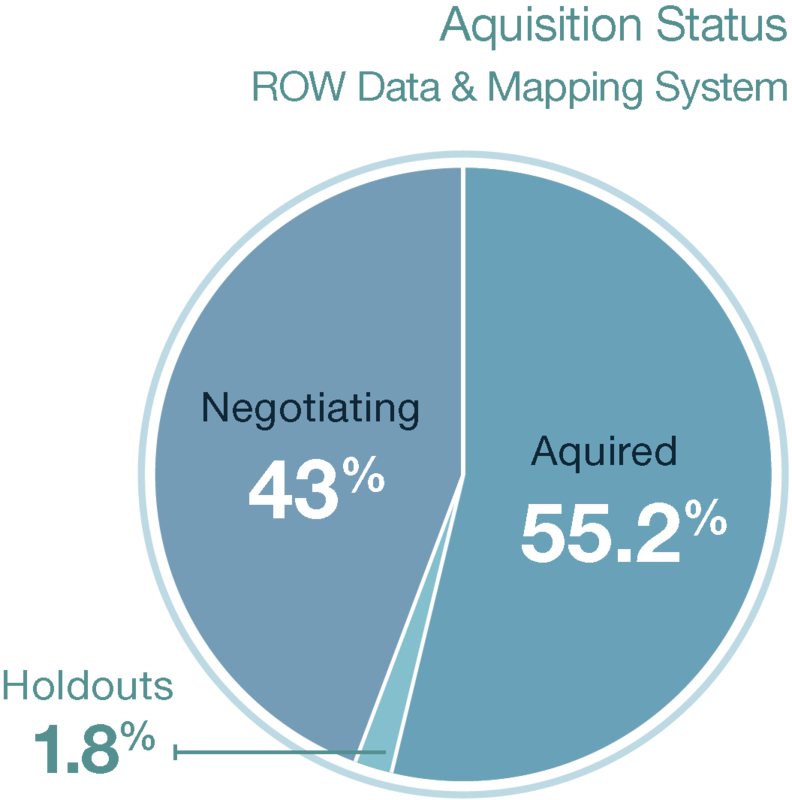 These include presentations of planned vs. actual progress in line and pie formats. Charts and all other reports are available in real time; presenting dynamic data as it exists the moment the report is generated. The Mapping System, directly linked to the database, allows us to immediately produce maps depicting current key statuses of the project. The system further includes an interactive Web Viewer which displays the entire project in a GIS mapping environment. Selecting a parcel in the Viewer displays all of the parcel's current project data. The Viewer also presents varying key statuses of the project; an example being a ROW Acquisition Status display in which right of way acquired is shaded in green, negotiating tracts are shaded in yellow and holdouts are presented in red. The Data and Mapping System can further serve as the repository for our client's ROW and mapping records with all necessary ownership, maintenance and accounting reports included. This system is designed to effectively support new pipeline builds, due diligence review of existing pipeline systems and fi nally as the repository for our client's right of way and mapping records.